Cleaning up a not-so-old master. 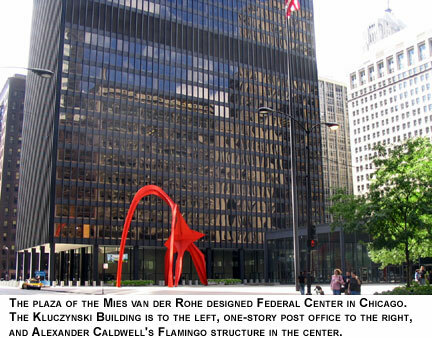 A $20,000,000 renovation is underway on the facade of the Dirksen Building, one of three structures designed by Mies van der Rohe for Chicago's Federal Center sited along both sides of Dearborn Street between Adams and Jackson. 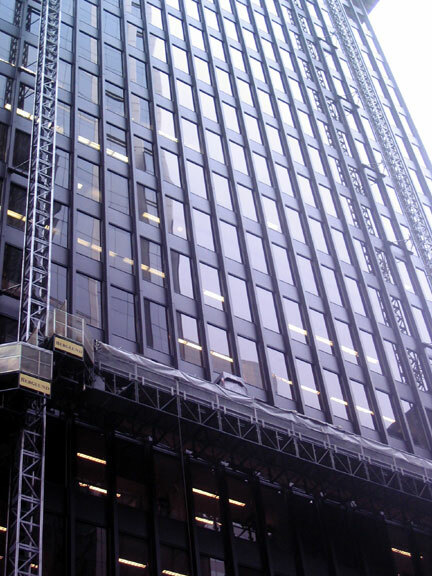 "The facades are really not a curtain wall," said architect Paul Steinbrecher at a Chicago Architecture Foundation lecture on the project last April. "It’s a very custom designed building. All of the uprights in the skin are actually welded on to the building and the windows were brought in and snapped in place. It was done as a particularly finely crafted building, very traditionally built in that way." As with the recent restoration of Mies's Crown Hall on the IIT campus, the most visually striking part of the renovation stands to be replacing the current faded gray color of the building (the Dirksen has never been repainted since it's October, 1964 opening) with a non-lead-based simulation of the striking Detroit graphite mat black that was hand-painted onto the building originally. The bronzed anodized aluminum window frames will be cleaned. 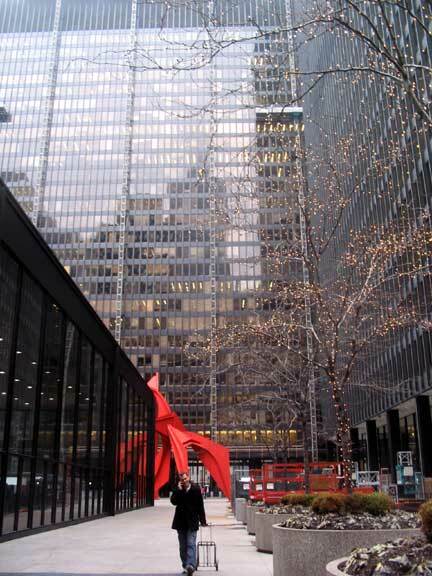 Unlike Crown Hall, where new stops had to be created to support the thicker glass required by current code, the original "smoky bronze" tinted glass at the Dirksen will remain, as it is no longer manufactured today and replicating it would be prohibitively expensive - the federal government is apparently exempt from the local regulations requiring thicker panes. 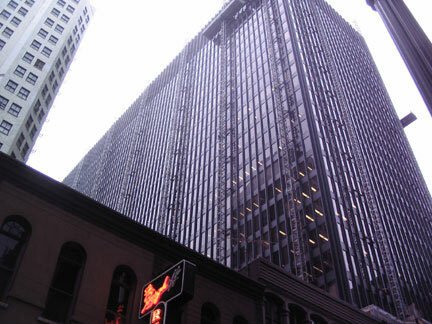 Although the current project does not include the single-story post office on the four and a half acre site, the 45 story Kluczynski Building will also be rehabbed. The project is scheduled to be completed by the end of this year. 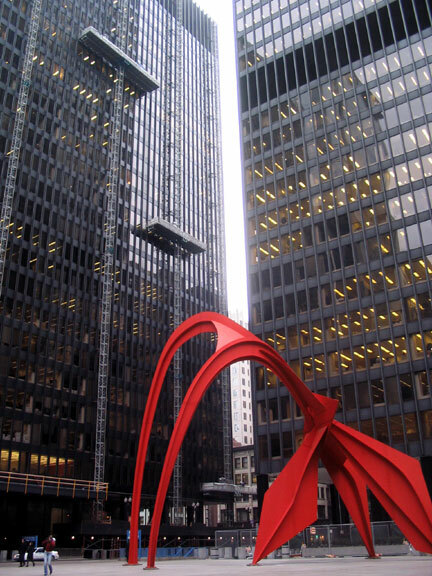 Federal Center Plaza showing Dirksen Building, left, under renovation. Looking towards Dirksen Building across plaza from Clark Street. North facade of Dirksen Building under renovation. East facade of Dirksen Building under renovation.